In the arid conditions of southwestern Morocco, the Sahara Desert slowly creeps north with one amazing plant halting its advance. 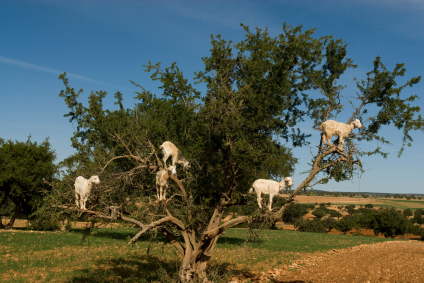 Beloved by local humans and goats alike, the Argan tree with its deep root system which prevents soil erosion, is a vital part of the local ecosystem and economy. 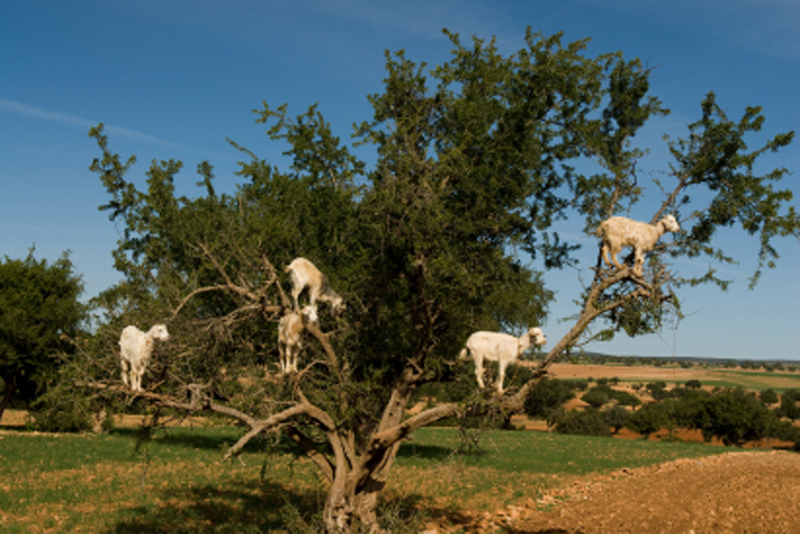 The fruit of the Argan tree is a favorite food of the regionn’s goat population and the nut within it contains kernels that yield the miraculous argan oil. The production of argan oil is a labor intensive process. In an industry dominated by the Berber women of Morocco, the nuts of the argan fruit are harvested and cracked open by hand to access the inner kernels. These kernels are then ground into a paste which is collected and pressed to produce argan oil. It reportedly takes approximately 15 hours of manual labor to produce one liter of argan oil. Argan oil is one of the rarest plant oils in the world due to the scarcity of argan tree, which grows in few places outside of Morocco. The popularity of argan oil has exploded in the United States in the last 5 years. In 2007, there were only two products on the market containing argan oil. By 2011, this number grew to over 100 and is rapidly climbing. The oil, which is rich in antioxidants, including vitamin E & F, squalene, carotenoids, polyphenols, and essential fatty acids, is used as a treatment for the hair, skin and nails. When applied to the skin, argan oil has shown to be beneficial for a number of conditions including dry skin, wrinkles, acne, scars, stretch marks, psoriasis and eczema. Argan oil is a promising natural acne treatment. It helps regulate the skin’s production of sebum as well as having both anti-inflammatory and anti-microbial properties. It is also commonly used as a treatment for dry hair, split ends and dandruff. Argan oil is also commonly marketed as Moroccan oil. Be wary of products which contain silicone and potentially harmful synthetic compounds. 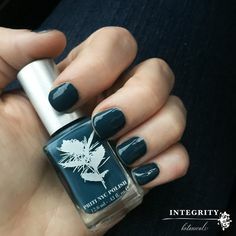 At Integrity Botanicals, you can be sure to find only the highest quality products, using natural and organic ingredients. 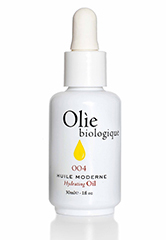 Hydrate and heal normal to combination skin with this lightweight, fast absorbing oil. Made with 100% certified organic moroccan argan oil, which has a high concentration of Vitamin E and essential fatty acids that help promote healing. Argan oil neutralizes free radicals, reduces inflammation and protects and helps the skin recover from exposure to the sun, wind and other harsh environmental factors. Argan oil improves skin hydration and aids dry skin conditions such as psoriasis and eczema. It’s anti-aging properties aid in reducing the appearance of fine lines and wrinkles. Rosehip seed oil contains restorative and rejuvenating properties that preserve elasticity, plump fine lines, improve firmness and help the skin retain moisture. Bergamot contains antiseptic and antibiotic therapeutic properties that is helpful for problematic skin conditions, like acne, eczema, psoriasis, and excessive oiliness. 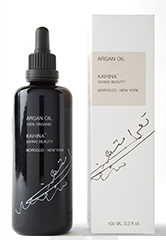 This multi-tasking oil from Kahina is made with the highest quality, certified organic and fair trade argan oil, delivered fresh in small batches directly from the women’s cooperatives of Morocco. Extremely rich in Vitamin E and antioxidants, argan oil has been shown to minimize fine lines, restore elasticity, improve skin tone, soothe irritation, neutralize free radicals that cause signs of aging and protect the skin from harmful environmental agents. Light and non-greasy, argan oil absorbs easily, instantly giving skin a radiant glow. 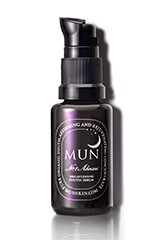 MUN No.1 Aknari Brightening Youth Serum revitalizes, soothes, softens and refines skin texture for a brighter, more radiant, even-toned complexion. 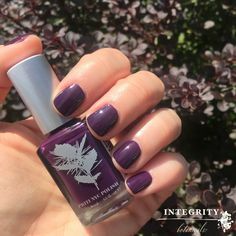 This rich, yet fast absorbing oil, suitable for all skin types, is made with three 100% organically pure anti-aging treasures of nature: prickly pear, argan and rose oils. Organic prickly pear, a.k.a. 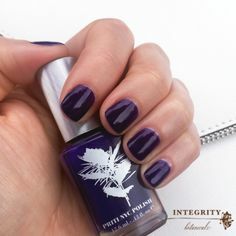 barberry fig seed oil, contains a potent source of Vitamin E, linoleic acid and antioxidants that protect against free radical damage and stimulate new cell growth. It also provides intense hydration and helps calm inflammation. Organic argan oil is extremely rich in Vitamin E and antioxidants and has been shown to minimize fine lines, restore elasticity, improve skin tone, soothe irritation, neutralize free radicals that cause signs of aging and protect the skin from harmful environmental agents. Organic rose oil nurtures and protects skin against dryness while soothing red, irritated or sensitive skin. Protect against skin cancer, fine lines, wrinkles and and dark sun/age spots with this super light-weight, fast absorbing lotion. This hydrating formula contains SPF 30 to block the sun”s UVA (ultra violet aging) and UVB (ultra violet burning) rays. In a base of organic aloe leaf juice to soften and nourish skin, this formula is also infused with potent antioxidants and essential fatty acids. Argan Oil helps neutralize free-radicals, improves skin hydration, reduces inflammation and has anti-aging properties that aid in reducing the appearance of fine lines and wrinkles. Organic Rosehip Seed Oil has a high amount of essential fatty acids and Vitamin C that helps preserve skin’s elasticity and vitality to counter the first signs of aging. Green Tea and other herbal extracts provide protection against environmental factors. 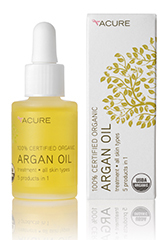 Visually improve skin texture while reducing the appearance of fine lines and wrinkles with this 100% USDA certified organic moroccan argan oil. Infused with powerful antioxidants, vitamin E, phenols, squalene and essential fatty acids, this lightweight, yet highly nourishing formula, absorbs quickly and can easily be used on the skin, hair and cuticles. The restorative and healing benefits of argan oil have also been proven to be an effective treatment for psoriasis and other skin conditions. Skin is left feeling soft and supple with a healthy glow.